While students with disabilities often spend the majority of their instructional time in general education classrooms, their grades may not adequately reflect the effort, achievement, and progress they have made. 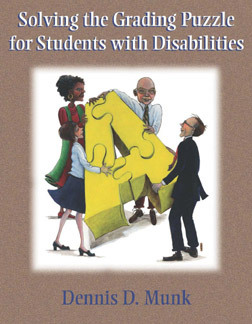 In this groundbreaking book, author Dennis Munk outlines a research-based system for school-based teams to use as they seek to demonstrate the academic gains made by students with disabilities. A practical guide for teachers, administrators, and parents, this book will help navigate the philosophical, ethical, and practical complexities associated with designing equitable, effective, and meaningful grading systems. Numerous real-life case studies and reproducible grading adaptation tools facilitate research-to-practice implementation efforts.